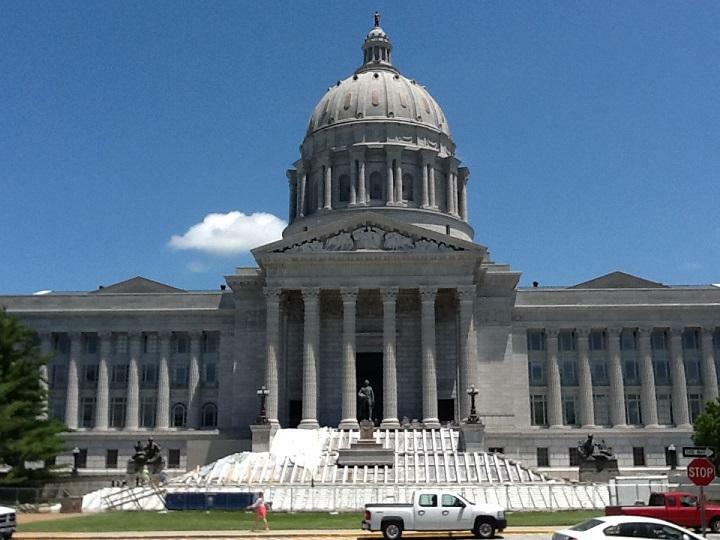 A $40 million restoration project is underway at the Missouri Capitol. Phase One, on the south side of the building, is scheduled to be finished by mid-December. 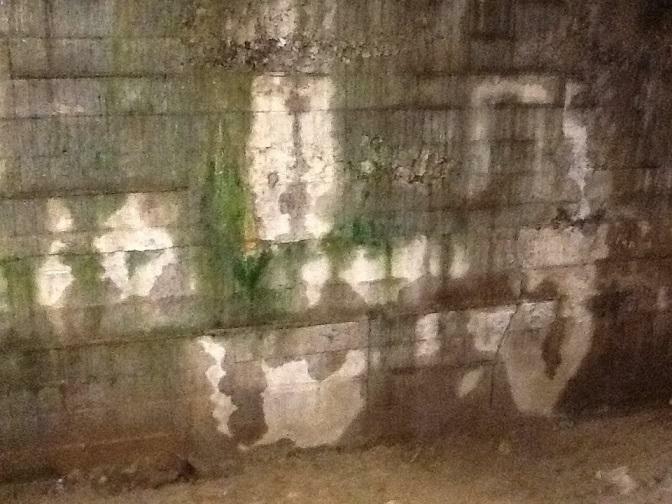 Mold covers a wall inside a cave-like room underneath the south side of the Missouri Capitol. This photo was taken in December 2014. 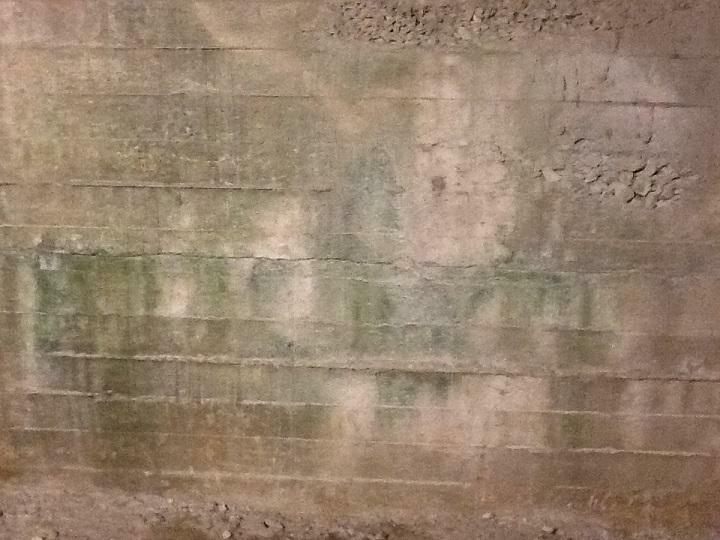 The same wall on June 15, 2016. 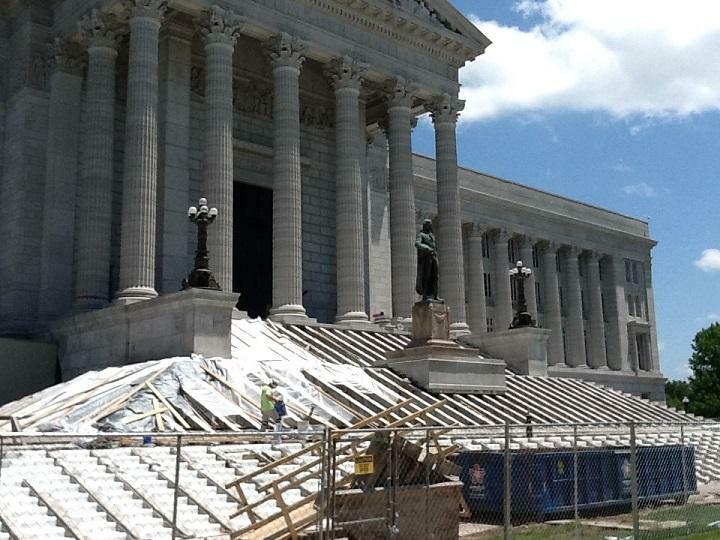 Much of Phase One focuses on restoring the lead sheeting underneath the stone steps on the south side of the Capitol, which have been removed for the time being. 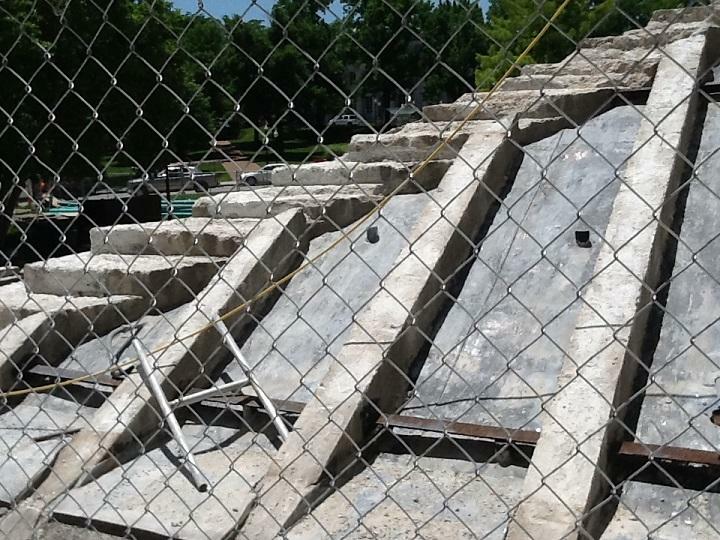 The stone steps on the south side of the Capitol have been removed and numbered, and will be put back in place once repairs to the sheeting are finished. 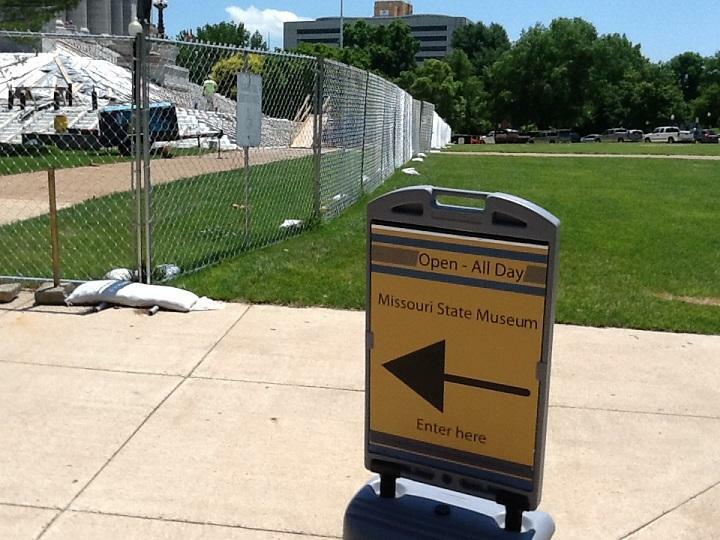 If you're traveling to Jefferson City to tour the Capitol, the first thing you'll likely see, once you get downtown, is a long, chain-link fence cutting across the south lawn. Then where stone steps usually lead up to the capitol, visitors see only empty gaps. St. Louis Public Radio's Marshall Griffin tours the renovation. The stones are gone for now, with each one numbered and removed while phase one of the renovations continues. Doug Nelson, commissioner of the governor's Office of Administration, said, "This is the first part of the $40-million project that Gov. (Jay) Nixon and the General Assembly passed (in 2015), dealing with helping us with water retention in the building and dealing with the stairs and water infiltration." Cathy Brown, OA's director of facilities management, design and construction, added, "The first phase of this project really is called our foundation and waterproofing package. We had to remove all the south stairs to replace the waterproofing membrane that was under the stairs." Brown says that that membrane consists of a layer of lead sheeting that has expanded, contracted and cracked over the past 99 years. Workers are laying a new three-part waterproofing system over the sheeting to block future water infiltration into the Capitol basement and substructure. A sign guides visitors past the renovation work to one of the south-side carriage entrances to the Capitol. As for visitors getting inside the Capitol, both east and west entrances are open, and one of the carriage entrances is also open, if you don't mind the dust and noise. "The center carriage doors entrance will always be open through this entire process, and either the east or west carriage doors will be open," Brown said. Some of this work began before the legislative session, with the carriage entrance temporarily closed, reopened, then closed again at the start of spring break. That's also when workers put up the chain-link fence that now cuts across the south lawn. At this time, workers also began removing the stone steps on the south side of the Capitol and repairing the lead sheeting underneath. 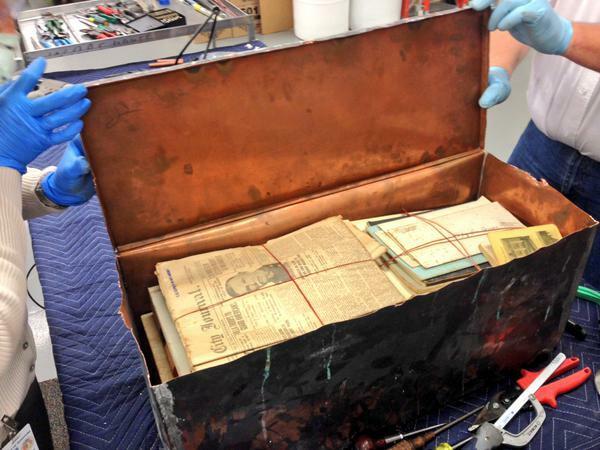 "It's always a challenge for us as we do projects of this magnitude," Nelson said. "We have to work around availability of the session and try to do our best to limit construction around the session. It's just something that we coordinate with the House and Senate and make sure we're getting the construction done, mainly when they're not here." Phase one is to be completed in mid-December, roughly a month before January's inauguration ceremony for the next governor. 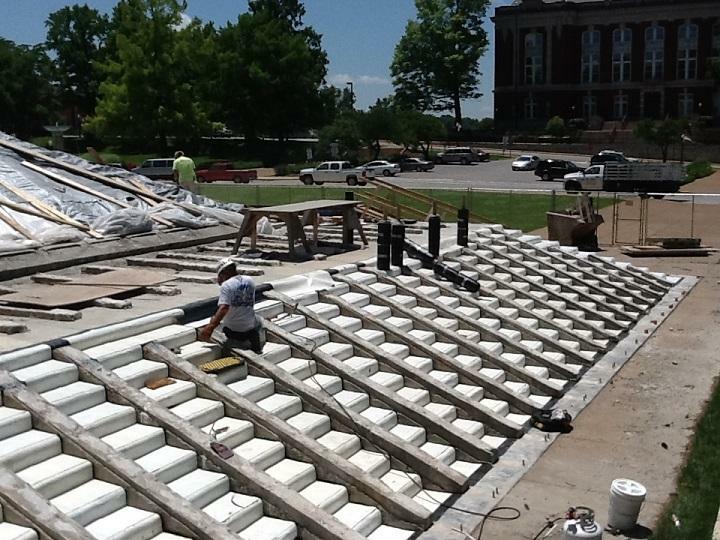 "You will see all of this equipment gone (by then), all the stairs back in place, all the terraces repaired," Brown said. 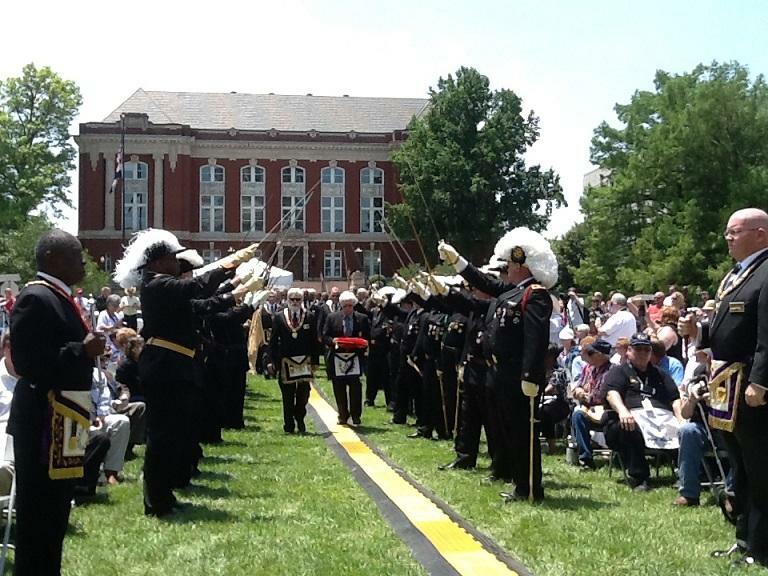 "From the south side, it will appear as if nothing has happened." But not all of the renovations are happening above ground. Indoors and underground, plastic sheets cover an area where water damage has been occurring over decades. 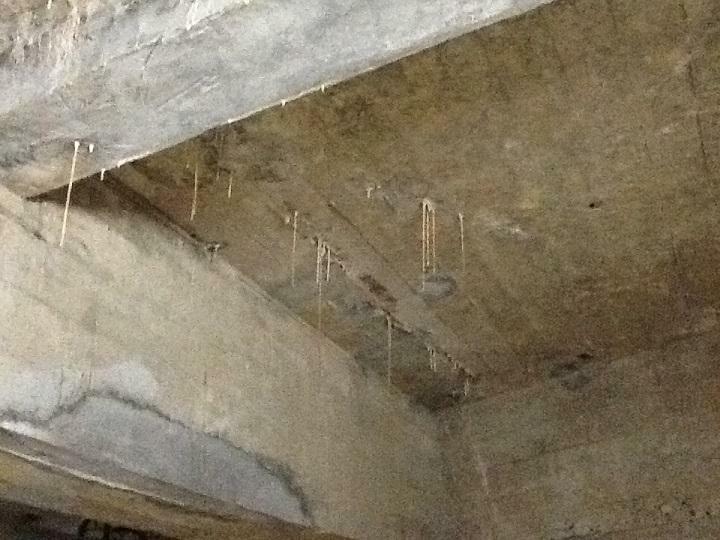 Stalactites formed underneath the south side of the Missouri capitol due to water leaking through the stone steps and lead sheeting underneath. Stalactites, similar to what you see in caves, currently descend from the ceiling of a cave-like room underneath the Capitol, some close to a foot long. Brown said they were caused by water seeping through the cracks below the stone steps. "Water can find its way into the smallest of cracks, and that's what we're trying to prevent in the future with this project," she said. "Just like in your home, water always goes to the path of least resistance, and that's what it's done in this section of the building." Repairs below ground include replacing damaged rebar and putting new concrete patches over them and over any exposed rebar that's still good. Rebar is a steel rod inserted into concrete for reinforcement. "The rebar that you're looking at was rusted, but it had not failed enough that it needed to be replaced," Brown said. "So it's been encapsulated with material, and a concrete patch will go back in over the rebar, and it will be good for another hundred years." Phase two will begin sometime next year. It will center on the facade and dome of the Capitol and include replacing all the caulking between every stone, along with joint repair, fixing cracks and resetting any stones that have shifted. The Missouri Capitol from a distance, as Phase One restoration work continues.